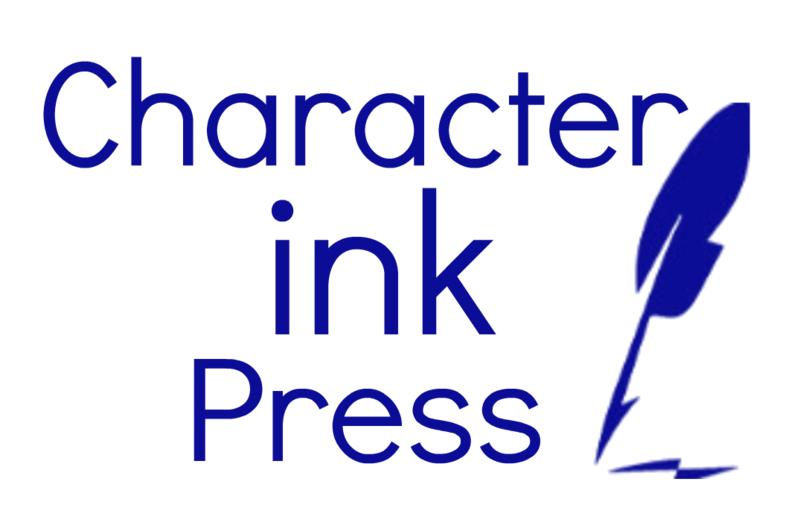 My husband loves to do clever things all the time—pranks on the kids, jokes, etc. He also likes to do special things for the kids—and let them know that he was thinking of them. (Not just that Mom thought of a special thing and had him “sign on” for it!) I love this about him, and it makes our kids feel so well-parented by BOTH parents. 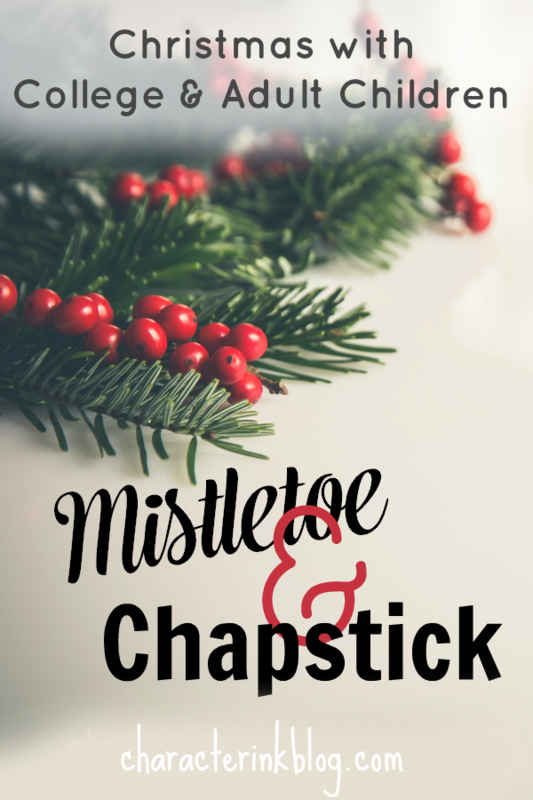 Last Christmas—with one wedding behind us by four months and another one coming in a month or so—Ray thought it would be fun to get the three married and one soon-to-be-married sons and sons-in-law mistletoe and chap stick for early Christmas presents. 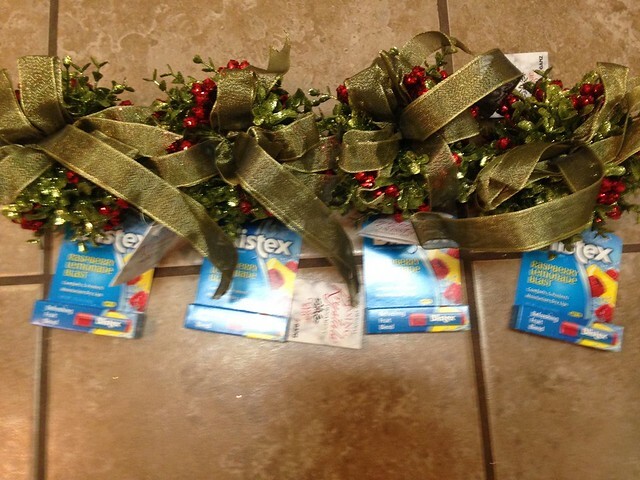 He was very adamant that he didn’t want to give it to them on our Christmas gathering because he wanted them to “use” them the whole month of December. The kids sent him pictures of them standing beneath it kissing, holding it over their lover’s head, hanging it in their doorway, etc. And it was a fun Christmas gift for all. 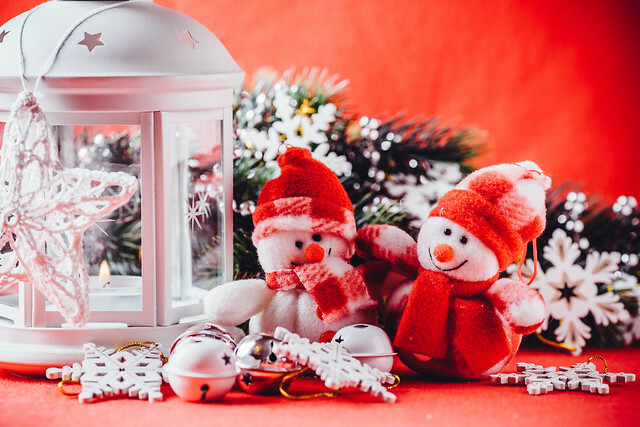 But not only gifts—even this little “prank gift,” or picking up their favorite white chocolate (daughter-in-law) or dark chocolate (son-in-law) or texting them specific plans (as opposed to just sending the info to your child) can go a long way in making them feel a part of your family’s Christmas celebrations. Finding out what your children-in-law like is a great way to make them feel like a part of your Christmas festivities. 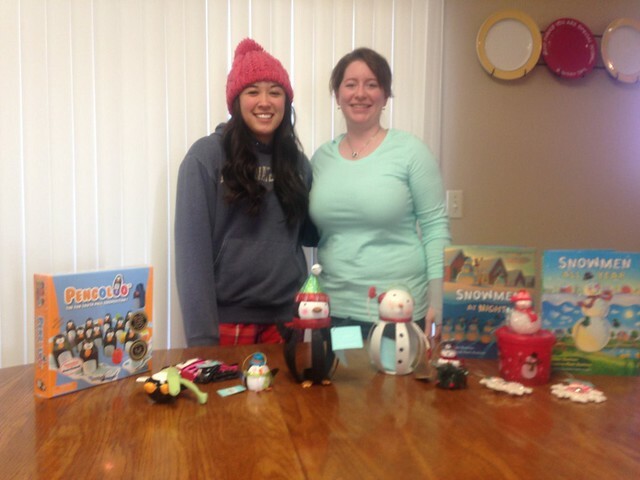 Here are our two daughters-in-law with their special gifts from us–one collects penguins and the other snowmen! P.S. 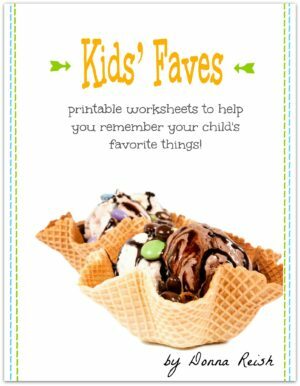 Print off our free “Kids’ Faves” sheets and give to your children-in-law to fill out to find out what makes them tick!